Bring on the cookie swaps! Christmas cookie swap season is here. However, if you're someone living with food allergies and intolerances, it can be difficult to find safe options among the yummy baked goods. 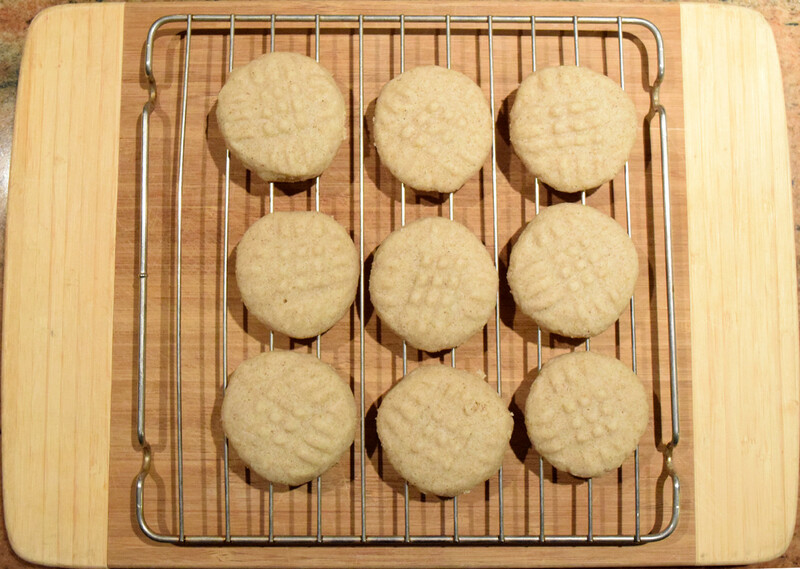 Now, after almost four years of eating an allergy-friendly diet, I decided it was time to give shortbread cookies an allergy-friendly makeover to make them free from gluten and the top 10 allergens (dairy, egg, peanuts, tree nuts, soy, seafood, sesame, wheat, sulphites and mustard). Traditional shortbread biscuits are made from one part white sugar, two parts butter and three parts flour by weight. 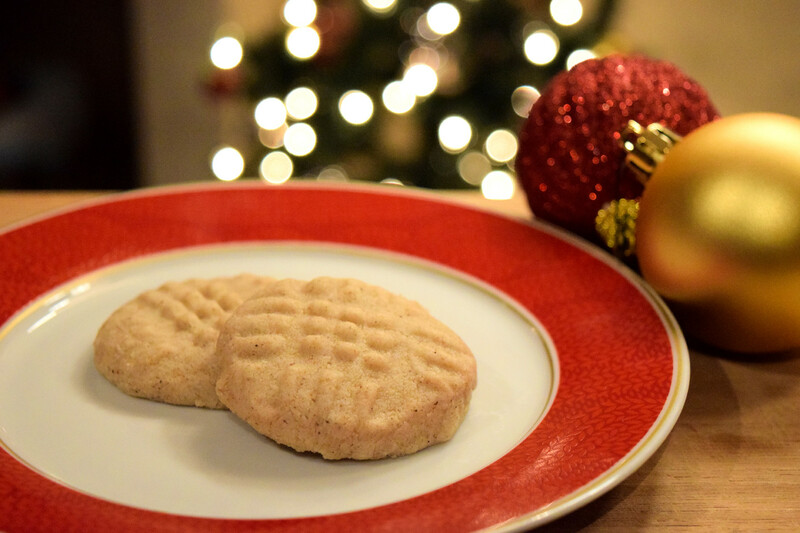 It seems simple enough to make dairy-free and gluten-free replacements, but creating an allergy-friendly cookie with the same crispy and light texture as original shortbread requires some additional ingredients and techniques. While there are many dairy-free butter alternatives that could be used in this recipe (see below), many of the popular vegan butters contain soy. So, I decided to substitute the butter in this recipe with virgin, cold pressed coconut oil. 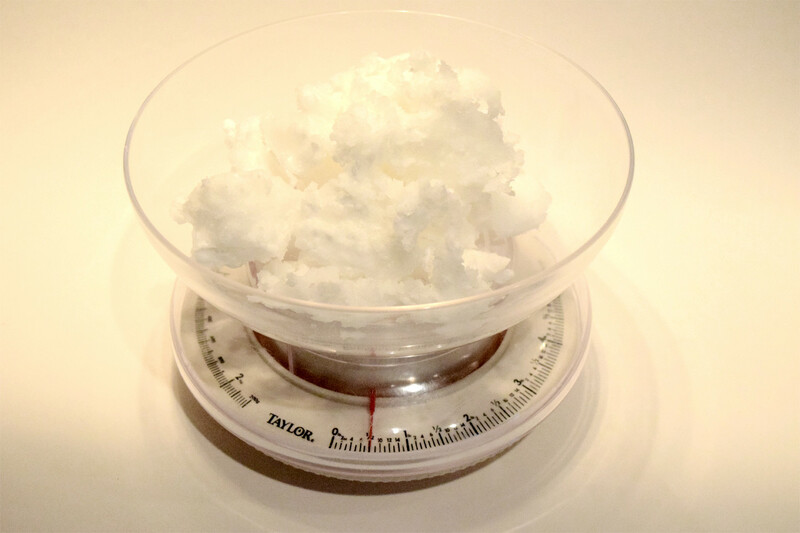 At room temperature, coconut oil is solid and has a different density than butter, so it's important to use a kitchen scale to measure the quantity of coconut oil required. 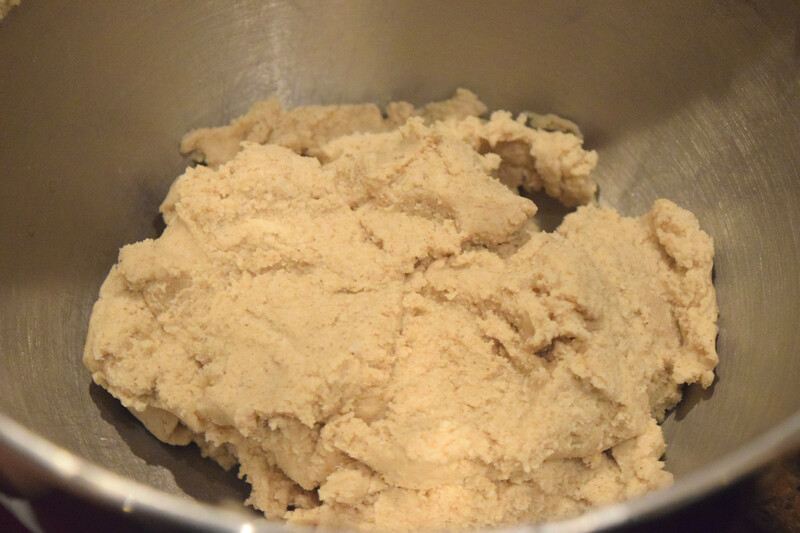 In traditional shortbread recipes, one of the first steps is to cream the butter and sugar together. Since solid coconut oil does not have a smooth consistency, I wanted to make the coconut oil more butter-like. 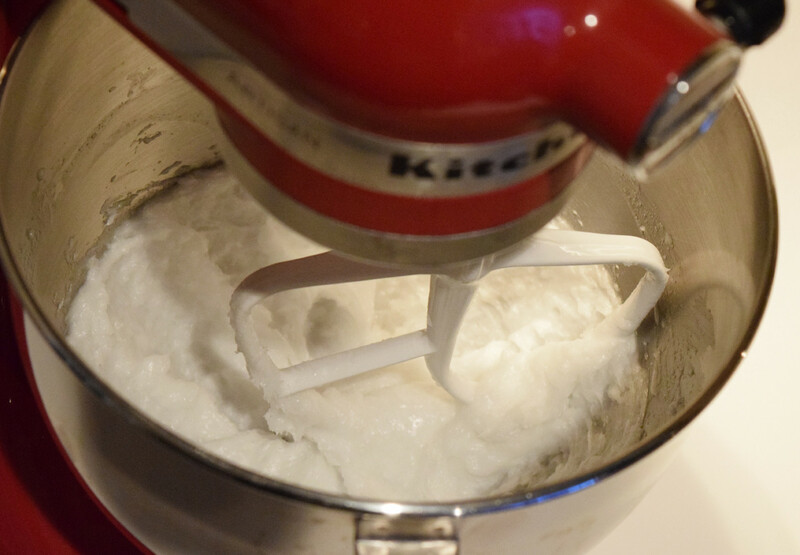 I used the paddle attachment of my stand mixer to beat the coconut oil until it was soft and creamy. I used powdered sugar instead of granulated white sugar in my recipe to help give the coconut oil the buttery consistency that's ideal for making cookie dough. I added sifted powdered sugar to the coconut oil and beat them together until the coconut oil resembled icing. Creating the right texture in your finished product is always the biggest challenge in gluten-free baking. There are many pre-mixed gluten-free flour blends, but in most cases you can't do a straight 1:1 replacement with wheat flour and gluten-free flour blends, as your baking will come out crumbly. I added xanthan gum to help bind the dough and tapioca starch to help make the cookies crispy. Rolling the dough into balls was pretty easy and had the added benefit of moisturizing my hands (fun fact: coconut oil is an excellent skin conditioner). I used a fork to press them down into coin shaped cookies. After baking for 15 minutes at 325°F, the cookies were done. An important tip for successful gluten-free baking is to allow your baked goods to cool on the baking tray for two to three minutes before moving them to the cooling rack, as gluten-free baked goods often crumble if you try to move them when they are fresh out of the oven. This will save you, and your waistline, the hassle of having to eat all of the broken "mistake" cookies that you can't serve. The resulting cookies from this recipe makeover were impressively delicious. These gluten-free, dairy-free and top allergen-free shortbread cookies have a sweet coconut flavour with the same light and crispy texture as traditional shortbread. The cookies freeze well too, so you can make them in advance and defrost as needed. Bring on the holiday parties and Christmas cookie swaps! 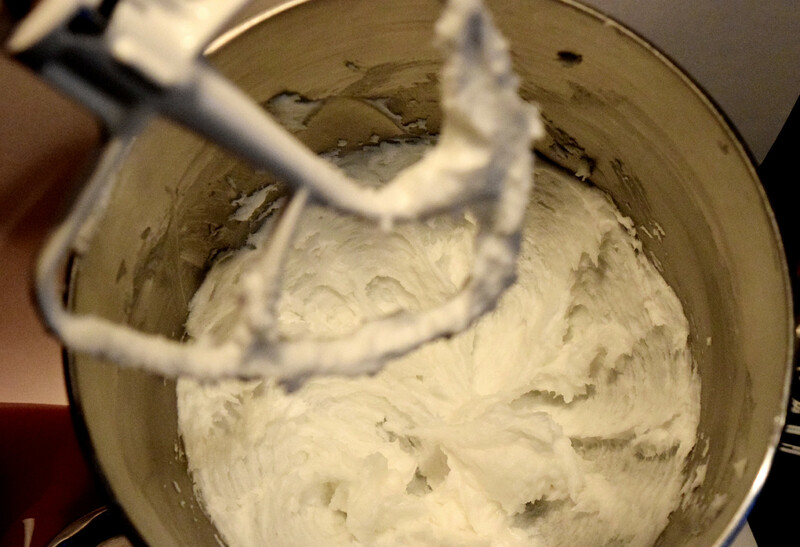 Place coconut oil in stand mixer and beat at medium speed for about 3 to 5 minutes, or until coconut oil is soft and creamy. Slowly add sifted powdered sugar to the coconut oil and continue to beat until the coconut/sugar mixture has a similar consistency to icing. Add the gluten-free flour, tapioca starch, xanthan gum and salt to the mixer and continue to beat until the cookie dough forms. It takes some time and a strong stand mixer for the flour and the coconut oil to fully blend together. Another option is to knead the dough by hand. Roll the dough into 1" balls and place on a cookie sheet. 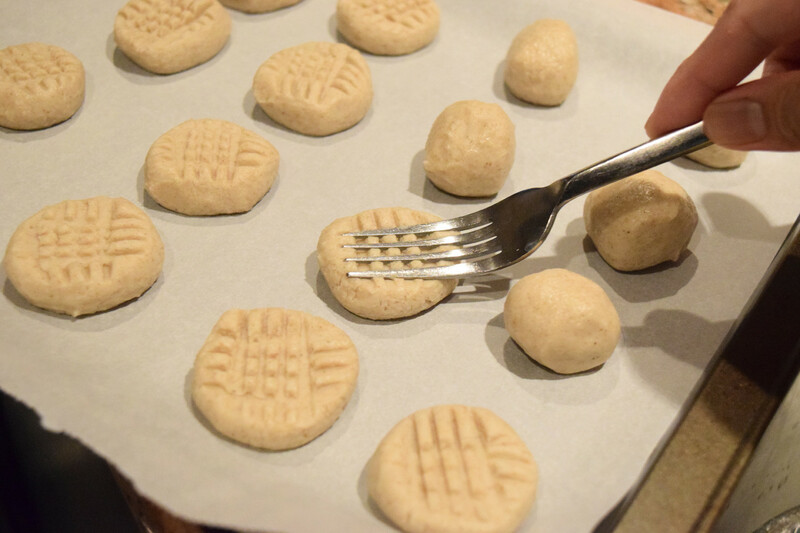 Use a fork to flatten the dough balls into cookies.